*Calibration is UKAS Accredited Laboratory Certificate @ +0°C & +100°C (Penetration Probe Only). The C20FKIT Food Thermometer Kit comprises a C20C Thermometer as well as a PX22L Thermistor (PST) Food Penetration Probe. Suitable for a range of applications, from school kitchens to council environmental health departments, Comark Instruments help you to observe HACCP procedures and fulfil legal food safety requirements. All of these kits are UKAS certified to 0°C and 100°C. Ideal for taking temperatures in catering and food service environments, the C20 Thermometer is has a simple, single button operation for ease of use. Lumberg connector for use with a wide range of Comark thermistor probes. Check safe cooking temperatures in catering and food service environments with the C20 Food Thermometer. It has a simple, single button operation for ease of use. Ideal for taking temperatures in catering and foodservice environments, the C20 Thermometer is has a simple, single button operation for ease of use. Lumberg connector for use with a wide range of Comark thermistor probes. Housed in a robust case with built-in protective rubber boot, it is an economical choice for reliable and accurate temperature measurements. 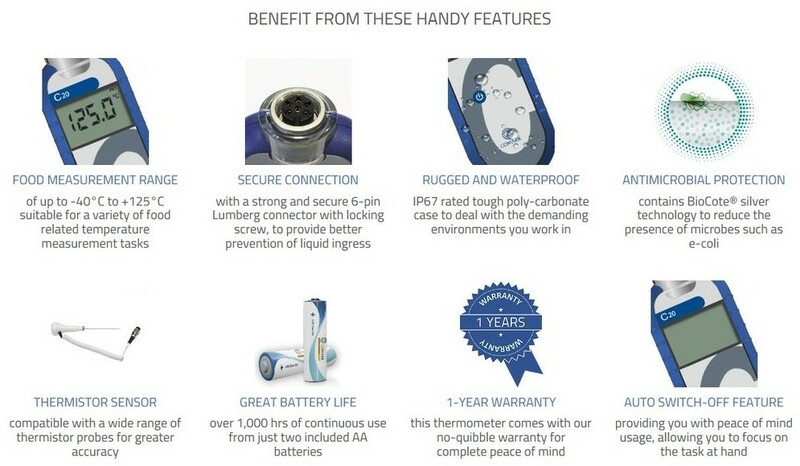 The Comark C20 answers the needs of users who don’t wish to pay for features they’ll never use and who simply need a well-designed, economically priced thermometer to check temperatures within defined limits. The Comark C20 thermometer incorporates an easy to use Lumberg screw locking type connector, allowing a wide range of interchangeable probes to be used. Comark offers an extensive range of interchangeable thermistor probes forthis model! The C20 Food Thermometer has a single button design for simple operation and is powered by 2 AA batteries for convenience. Fitted with a Lumberg Probe for best probe connection. accredited The PX22L Food Penetration Probe (PST/White) is a thermistor sensor probe designed for food applications. It has a 0.7m straight lead and white end cap. There is also BioCote Antimicrobial Protection in the probe handle to avoid the risk of cross contamination. 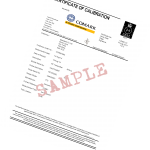 UKAS Accredited Laboratory Calibration Certificate at the standard points of 0°C and 100°C. * Please allow an extra delivery time of 5 to 10 days for calibration! The Comark C20C thermometer incorporates an easy to use Lumberg screw locking type connector, allowing an extensive range of interchangeable Thermistor probes for this model! 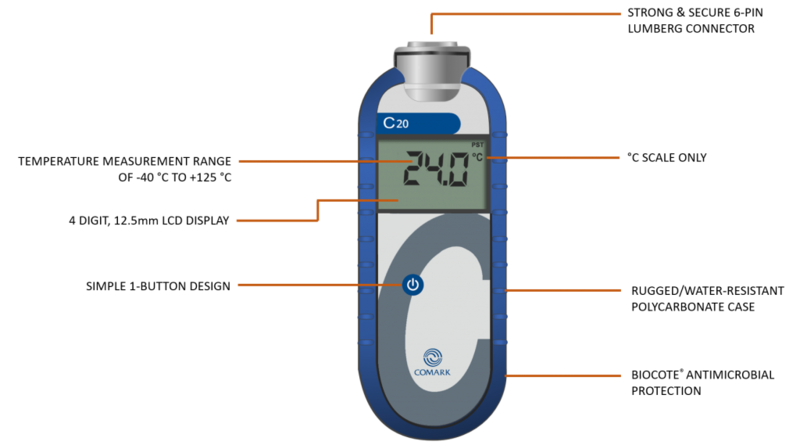 "Click Here To View Available Probes For The Comark C20"
Copyright 2019 Thermometer Point . All Rights Reserved. Click the button below to add the COMARK C20 (FKIT) Food Thermometer With UKAS Accredited Laboratory Calibration Certificate to your wish list.